In line with the implementation of Republic Act No. 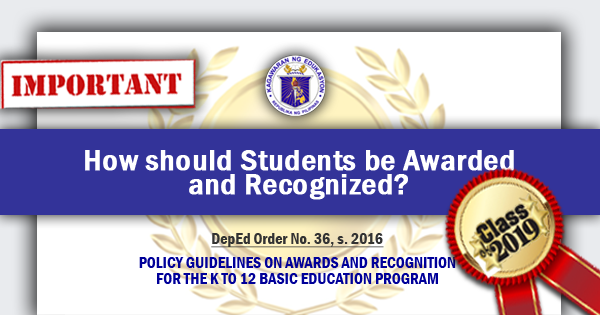 10533, otherwise known as Enhanced Basic Education Act of 2013 (K to 12 Law), the Department of Education (DepEd) is adopting the Policy Guidelines on Awards and Recognition for the K to 12 Basic Education Program. All learners, including transferees, who have met the standards, criteria, and guidelines set by this policy, shall be recognized. There can be two or more recipients of any award. However, should there be no qualified learner; the awards shall not be given. The Policy Guidelines on Awards and Recognition for the K to 12 Basic Education Program articulates the recognition given to learners who have shown exemplary performance in specific areas of their school life. These guidelines are anchored in the Classroom Assessment for the K to 12 Basic Education Program (DepEd Order No.8 s.2015), which supports learners’ holistic development in order for them to become effective lifelong learners with21st-century skills. This policy aims to give all learners equal opportunity to excel in relation to the standard set by the curriculum and focus on their own performance rather than to compete with one another. It recognizes that all students have their unique strengths that need to be identified, strengthened, and publicly acknowledged. Awards and recognition bestowed on learners who have successfully attained standards set by the school support the efforts and accomplishments of these learners and affirm their latent potential, abilities, and dispositions. Learners who feel good about their abilities and contributions to the school and society are more likely to be happy, content, and motivated. When these learners are recognized for their efforts, they will also persist in their desire to excel. The giving of awards and recognition is but one of the many ways by which teachers and schools provide students with positive feedback and affirmation, which can improve the learner’s confidence, self-awareness, and enthusiasm for learning. Other ways by which teachers can provide learners with information about their competence or the value of their accomplishments can be explored. A motivating environment that promotes respect for student diversity and dedication to learning contributes to the creation of a positive school climate that supports the well-being and achievement of all students. What awards do we give? Classroom Awards are recognition given to learners in each class or section. A simple recognition may be given per quarter, semester, or at the end of the school year. Awardees are given merit by the adviser and/or other subject teachers in recognition of the learners’ outstanding performance in class. Grade-level Awards are given to qualified learners for every grade level at the end of the school year. Candidates for the awards are deliberated by the Awards Committee (AC) if they have met the given criteria. Special Recognition is given by the school to the learners who have represented and/or won in competitions at the district, division, regional, national, or international levels. This is to publicly affirm learners who have brought honor to the school. Learners in Kindergarten should be recognized for their most evident and most prominent abilities. They can also be recognized for showing significant improvement in a specific area (e.g., from having poor fine-motor skills to being able to draw or write well). Since kindergarten learners have no numerical grades, teachers are advised to recognize outstanding achievement of learners based on the different domains and/or learning competencies of the kindergarten curriculum at the end of every quarter. Since all learners must be given equal opportunity to excel and demonstrate their strengths, an award may be given to more than one learner. Teachers can choose from the domains and skills listed in Appendix 1. They have the option to provide creative or unique titles for each award appropriate to their context and community (e.g., in mother tongue). These awards are given to learners who have been observed to consistently demonstrate the DepEd core values (Maka-Diyos, Makatao, Makakalikasan, Makabansa). These awards are given to younger learners to affirm their positive traits and attitudes or to recognize significant improvement in their behavior. Teachers can choose from, but are not limited to, the character traits listed in Appendix 2. They also have the option to provide creative or unique titles for each award appropriate to their context and community. Conduct Awards for grades 4 to 12 in each class will be given at the end of the school year. 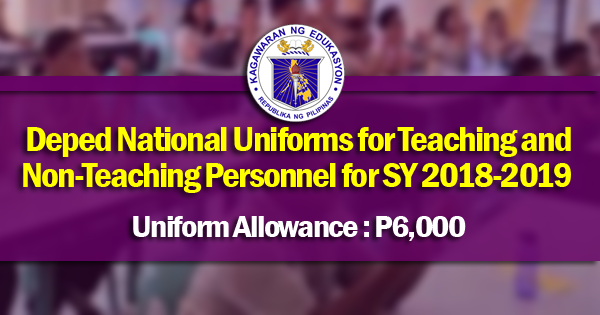 This will be based on the evaluation of the adviser and subject teachers, using the guidelines stipulated in Section VI of DepEd Order No. 8, s. 2015. Awardees must have consistently and dutifully carried out the core values of the Department as indicated in the report card. They must have obtained a rating of at least 75% “Always Observed” (AO) at the end of the school year (with at least 21 out of 28 AO rating in the report card). They also must have not been sanctioned with offenses punishable by suspension or higher sanction within the school year according to the Department’s service manual and child protection policies. The Award for Academic Excellence within the quarter is given to learners from grades 1 to 12 who have attained an average of at least 90 and passed all learning areas. 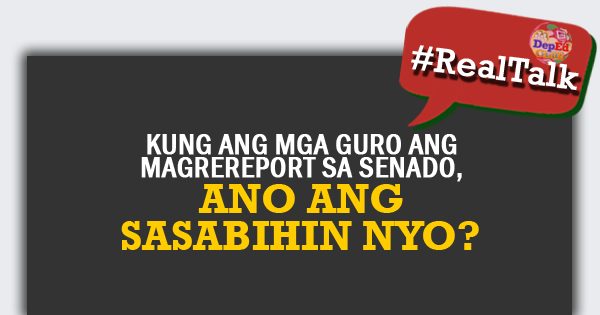 The Average Grade per Quarter is reported as a whole number following DepEd Order No. 8, s. 2015. Table 1 shows the specific Academic Excellence Award given to learners who meet the following cut-off grades. This award is given at the end of every quarter to encourage learners to attend and actively participate in class. Perfect attendance means that a learner must be present in all of his/her classes, and must have no absences for the entire quarter.Learners who are representing the school for various purposes (e.g., in-school or off-campus activities) may also qualify for this award. At the end of the school year, the Academic Excellence Award is given to learners from grades 1 to 12 who have attained a General Average of at least 90 and a passing Final Grade in all learning areas. The General Average is reported as a whole number following DepEd Order No. 8, s. 2015. The class advisers will give to the AC the list of qualified learners to be awarded during a school ceremony. Refer to Table 2 for the Academic Excellence Award at the end of the school year. The leadership award is given to learners in grades 6, 10, and 12 who have demonstrated exemplary skills in motivating others and organizing projects that have significantly contributed to the betterment of the school and/or community. This award is given during the completion or graduation ceremony. Have no failing grades in any of the learning areas. Have not committed any offense punishable by suspension or higher sanction according to the Department’s service manual and child protection policies in the current school year. Be a class officer or an active member/officer of any recognized school club, team, or organization. Table 3 shows the set of criteria and weights that will be used by advisers and peers in the evaluation and deliberation process. Schools may opt to add more indicators based on the decision of the AC. Candidates will be evaluated by at least 30% of their peers (group, team, class, or club mates) as well as their class or club advisers. 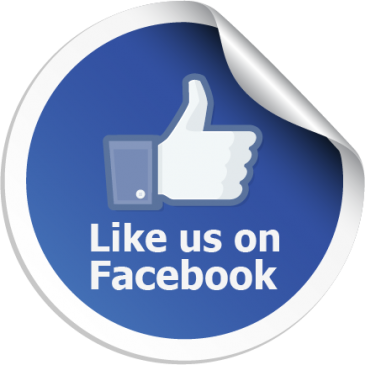 Only those learners who have met at least 90% of the criteria on the next page shall be awarded. These awards are given to recognize learners in grades 6, 10, and 12 who have exhibited exemplary skills and achievement in specific disciplines. These disciplines are Athletics, Arts, Communication Arts, Mathematics and Science, Social Sciences, and Technical-Vocational Education (Tech-Voc). These awards also value the learner’s achievement in a specific discipline that has contributed to the school and/or community. Table 4 on page 7 specifies the criteria and weights for these awards. There may be more than one category of awards under the following disciplines: Athletics, Arts, Communication Arts, and Tech-Voc. There will be no separate awards for special programs. This award is given to learners who have shown outstanding skills in athletics (particularly in games and sports) through participation and victories in competitions, as well as discipline in training and sportsmanlike conduct and character. The academic rating that will be considered for this award would be the student’s final grade in Physical Education. This award is given to learners who have consistently demonstrated outstanding skills in the arts and above average creativity and craftsmanship exemplified through contribution to school’s various functions and events. The academic rating that will be considered for this award is the final grade in Music, Arts, or Contemporary Philippine Arts from the Regions for Senior High School (SHS). This award is given to learners who have demonstrated proficiency in any language (Filipino, English, or other foreign languages), in written or in oral communication, shown creativity in expressing ideas in written or oral activities in various subjects, and contributed to the school community. The academic rating that will be considered for this award is the student’s final grade in Filipino, English, or other foreign-language subjects and related learning areas in Senior High Schoolspecific to the award. This award is given to learners who have high academic standing in Science, demonstrated passion for science expressed through an excellent attitude toward science work, shown enthusiasm for science which positively influences other students in class and the wider school community, and displayed inquisitiveness about the environment, how things work, and how natural processes occur. The academic rating that will be considered for this award is the student’s final grade in Science for grades 6 and 10, or the average rating for the two core Science subjects in SHS. This award is given to learners who have high academic standing in Mathematics, demonstrated passion for math expressed through an excellent attitude toward math work, and shown enthusiasm for math, which positively impacts other students in class. The academic rating that will be considered for this award is the student’s final grade in Mathematics for grades 6 and 10, or the average rating for the core Mathematics subjects in SHS. This award is given to learners who have high academic standing in social sciences. They have consistently demonstrated the willingness and ability to contribute to and participate in activities that serve the common good. They have used their knowledge, skills, and disposition in history, geography, economics, and other areas of the social sciences to promote the common good and to achieve shared ends for others in the school and/or community above and beyond their personal good. The academic rating that will be considered for this award is the student’s final grade in Araling Panlipunan for grades 6 and 10, or the average rating for the core Social Science subjects Personal Development/Pansariling Kaunlaran and Understanding Culture, Society, and Politics) in SHS. This award is given to learners who have consistently exhibited exemplary skills and achievement in their area of specialization in technical-vocational (Tech-Voc) education. They have applied their knowledge and skills in Tech-Voc to projects and activities that have contributed to the school and/or community. The academic rating that will be considered for this award is the student’s final grade in Technology and Livelihood Education (TLE) for grades 6 and 10, or the average rating for the specialized Tech-Voc subjects in SHS specific to the award. Table 4 specifies the criteria and weights that will be used in the evaluation and deliberation process for the award for outstanding performance in specific disciplines. This award shall be given to learners who have met at least 90% (outstanding rating) of the criteria. Award for Work Immersion is specific to Senior High School (SHS) tracks. This award may be given to grade 12 graduating students who have exemplified outstanding performance based on the terms of reference or engagement set by the school and evaluation of the direct supervisor and subject teacher. The awardee(s) must have received high efficiency rating for their diligence and consistency in performing their duties and responsibilities throughout the immersion program. Only those learners who have received an outstanding academic rating in the Work Immersion subject (at least 90%) shall be awarded. This rating in the report card consists of the learner’s performance and/or output during the Work Immersion. Award for Research or Innovation is specific to the SHS tracks. Grade 12 graduating students—individuals, pairs, or groups of not more than four members—must have led the planning and execution of a research or innovation to advance the potential applications of technology, or research whose findings can be used to drive better efficiency and productivity as well as to improve the lives of the people in the school and/or community. Tables 5 and 6 show the set of criteria and weights that will be used in the evaluation and deliberation process for Award for Research or Innovation, respectively. Only those learners who have received at least 90% of the criteria below shall be awarded. This award is given to a duly recognized club or organization that has created positive impact on the school and/or community it serves through the implementation of all its planned projects and activities, provided strong support to the implementation of the school activities and attainment of the school’s objectives, and taken great strides to help its members develop their potentials. Table 7 shows the set of criteria and weights that will be used in the evaluation and deliberation process for this award. Only those clubs or organizations that have received at least 90% of the criteria below shall be awarded. Learners who have represented and/or won in competitions at the district, division, regional, national, orinternational levels will be recognized. These awardees have demonstrated their exemplary performance in academics, athletics, and the arts, and/or represented the school in DepEd-recognized activities. In addition to the above awards, the schools may give due recognition to learners who have brought honor to the school. The actual certificates, medals, trophies and/or plaques received by the learners from the various activities or competitions shall be used to publicly affirm and acknowledge the contribution of the awardees in giving honor to the school. This will be done during a flag ceremony or in a school-awarding ceremony. In case external sponsors, partners, and donors opt to give awards, they shall be regulated by the school, subject to compliance with the policy guidelines. These awards should be consistent with the DepEd’sVision, Mission, and Core Values, and must be named after the trait, value, or achievement recognized, or an esteemed person who is deceased. III. What do awardees receive? The grade-level awardees shall receive certificates, medals, and/or plaques from the school, bearing the official seal of the Department (DepEd Order No. 63, s.2011). Schools are required to follow the specifications to ensure the quality of awards, certificates, and medals and uphold the prestige of the awards. Certificates indicating the specific awards shall be given to all awardees. It is important to note that in the preparation of certificates, attention to proportion and detail is important. The date and venue of the school ceremony should also be complete and accurate. Table 8 shows the medal specifications for each of the awards. To facilitate compliance with these guidelines, schools must coordinate with external sponsors, donors, and partners regarding the awards they wish to give the school. Awards must have specific rubrics prepared or adapted by the AC at the school level, based on the given qualifications and indicators. How do schools determine awardees? An Awards Committee (AC) shall be organized by the school head or principal in every school for each grade level at the beginning of the school year. For small schools, only one (1) AC shall be organized. The committee must be composed of at least three (3) members from the teaching staff, guidance counselor or designated teacher. The total count of committee members should be an odd number. The chairperson of the AC could be any of the teachers, department head, grade-level chairperson, or curriculum head.No member of the AC must be related within the second degree of consanguinity or affinity to any of the candidates for awards. Establish the processes of and timelines in accepting nominations and determining qualifiers for grade level awards. Formulate rubrics specific to the grade level awards. Communicate to the school community, parents, and other stakeholders the processes involved in giving awards. Verify the authenticity of documents submitted. Deliberate on the qualifications of the candidates for the awards based on the rubrics and the documents submitted. Recommend to the school head or principal the result of evaluation for approval. Communicate to the school community, parents, and other stakeholders involved in the results of the evaluation. Recommend to the school head or principal the resolution on any related issue that may arise from the results of the awards. Ensure that guidelines stipulated in this policy are followed. Table 9 shows the activities for determining the awardees with indicative timelines that need to be conducted by the AC. The AC shall use the report cards and permanent records as the main reference for Academic Excellence Awards. 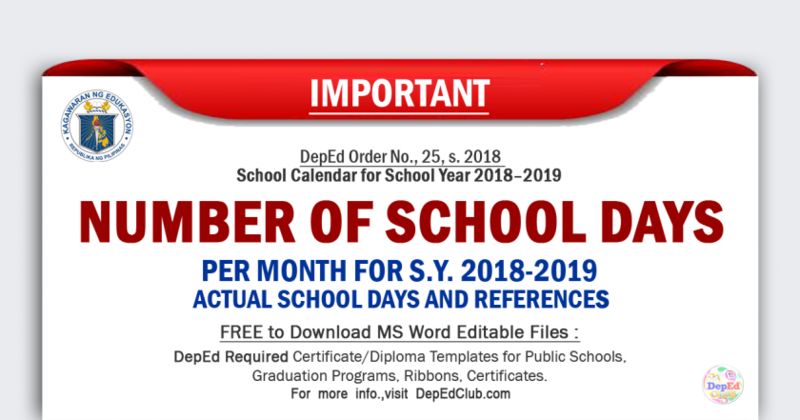 For other awards, a portfolio of copies of all documents such as DepEd Advisories, written authorization from the school head or principal, certificates, medals, trophies, plaques, accomplishment reports (verified through certifications by proper authorities), and others shall be presented. The report on the results of the AC shall be signed by all members of the committee and certified by the principal. The school head or principal shall approve the final list of awardees upon the recommendation of the committee. If the school head or principal is related within the second degree of consanguinity or affinity to any of the candidates for awards,the school head or principal must inhibit him/herself from participating in the process. The approval shall come from the person next in rank. The documents shall be kept in the office of the principal for ready reference. Copies of the results shall be submitted to the Schools District and Division Offices. The AC, through the Office of the School Head/Principal,shall release the final list of awardees upon the request of stakeholders for scholarship purposes. The AC, together with the school head, shall determine roles and assign tasks to the awardees (e.g., delivery of graduation speech, batch history) forthe graduation or school-awarding ceremony. When to file and settle protests? Cases of protest shall be filed by the candidate with his/her parent or guardian to the School Head within three (3) working days from the announcementand shall be decidedon by the school head or principal, considering the recommendations of the AC within three (3) working days from filing.